What is a Thin Film Composite Membrane? Essentially, a TFC material is a molecular sieve constructed in the form of a film from two or more layered materials. 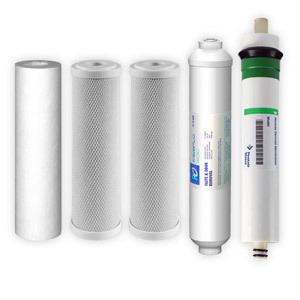 Membranes used in reverse osmosis are typically made out of polyimide, chosen primarily for its permeability to water and relative impermeability to various dissolved impurities including salt ions and other small, unfilterable molecules. View a chart of particle size removal range by filtration for thin-film composite membranes.